Bill gates and his Windows Operating system are probably the most known names in the IT industry. Even the people beyond the industry know their names. The reason why Windows have become so popular over years is because Microsoft has been continuously trying to develop its services and have put more emphasize on how to make the operating system more and more user friendly every year. What is new in Windows XP? 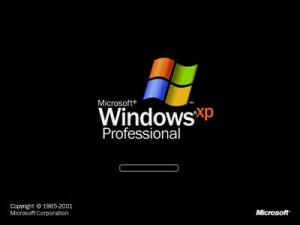 With the advancements in the development processes of the Windows, Windows XP had been introduced by the Microsoft Inc. with lots of new features. This amazing version of windows had lots of special features such as a vast improvement in the multimedia and visual abilities of the applications. However, the most important features for the users had been the inclusion of built in internet security firewall and very easy to handle network setup wizard. This new wizard has empowered to the users with easy set up procedures for different types on network settings such as VPN connection. If you do not know what a VPN connection is, well it is never late to know. And without going into details you still can have a fair idea on how VPN work. VPN is a virtual extension of a private network that allows you to9 get remote access to a remote server and in that case your internet activities are hidden from any direct third party observation and you can actually access to the world of internet as if you are a part of that remote server. What happens is that the server gives you an alternative IP address and thus your identity is hidden and you can browse anonymously. Besides, your data transmission with the server is made through a secure channel, so your safety is also ensured. Now, the previous versions of the windows were not very compatible with the methodology of VPN and the VPN connection set up had been so difficult that for a typical user it was really difficult. Windows XP with its user friendly Network Creation Wizard has made the life completely easy for the Windows US user as they can set up the VPN connection very easily in Windows XP. Make sure that the internet connection on your computer that is running on Windows XP is configured appropriately and also make sure your internet connection is working properly. On the computer that is running Windows XP, confirm that the connection to the Internet is correctly configured. Select the option that says that you want to connect to the network at your workplace and then press next. .From the next windows select the VPN connection and again press next. For a dedicated or cable modem connection, select do not dial the initial connection. Then you can add all the user specific information like the address of the VPN server , your specific user name and password to get connected to the desired VPN service. In the next few steps you can determine who else other than you will be using this VPN connection and restrict the user or make it free. From the network properties select options like redialing whenever the connection is dropped, and also you can add some safety measures like asking for windows logon information before the VPN connection starts to get established.